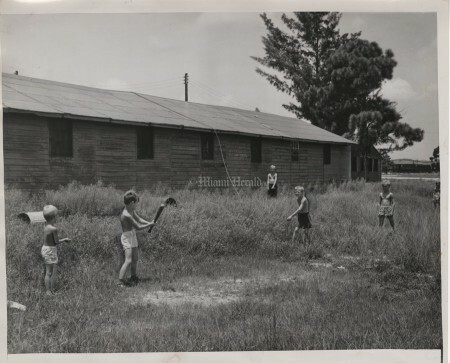 The saga of Veteran’s Village began in February 1946 when a Miami American Legion Post tried to address the housing shortage for military families by re-opening World War II buildings on Miami Army air field, today Miami International Airport. 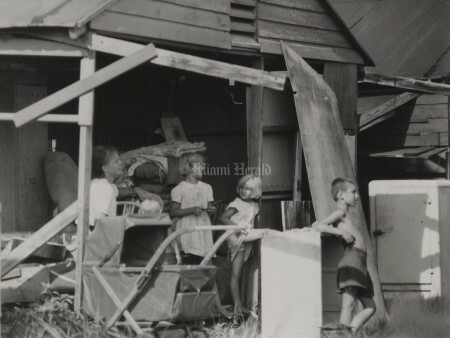 For $20 a month, families got wooden huts, 16 feet by 16 feet, with no running water or cooking facilities. Latrines could be 100 yards away. When newspapers complained about conditions, the Legion tried to shut the village but there was nowhere for veterans to go. 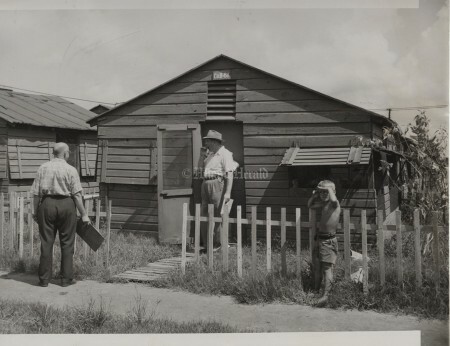 Holdouts were evicted into the streets, where they lived for days until space was found in Miami Springs town hall, private homes and, ultimately, a migrant labor camp in Homestead. 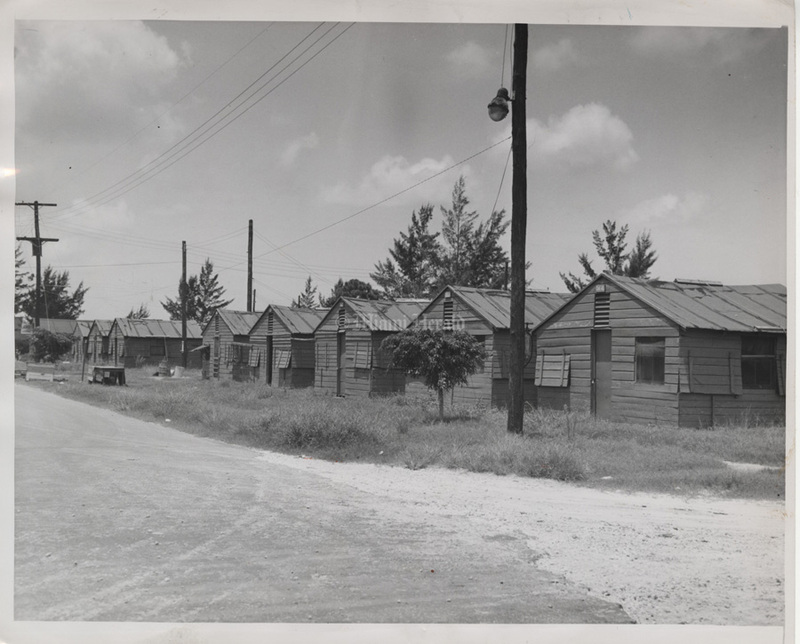 By October 1947, Veterans Village was empty. 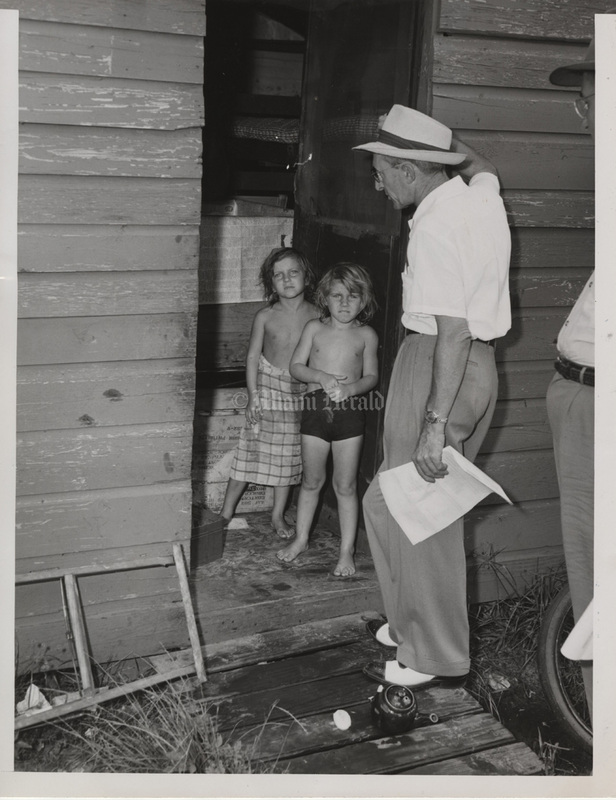 8/23/1947, Miami Herald Staff: Gail (left) and Diane Godek with Deputy Sheriff A.S. Goldman at Veterans Village. 8/25/1947, Miami Herald Staff: Dennis Morris. 8/25/1947, Fred Brent/Miami Herald: Property of evicted families lies by the roadside at Veterans Village housing project. Deputy Sheriffs, enforcing a court order, evicted four families Monday, and will serve notices on the remaining six today. 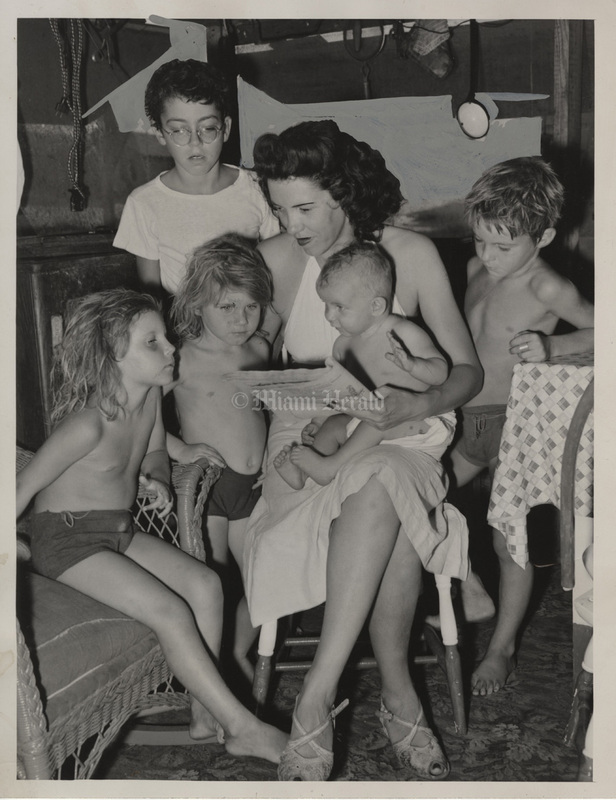 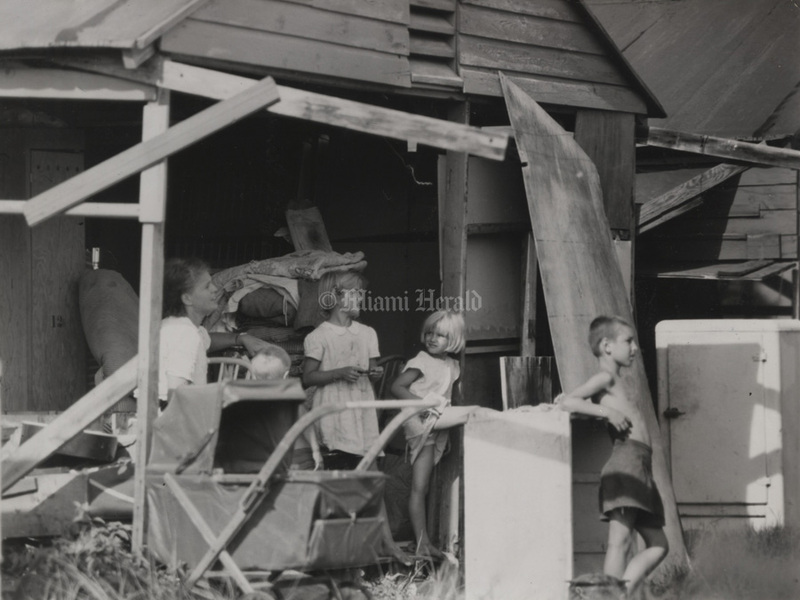 8/25/1947, Fred Brent/Miami Herald: While furniture is moved from her house, Mrs. Robert E. Morris and four of her nine children watch from nearby shed. 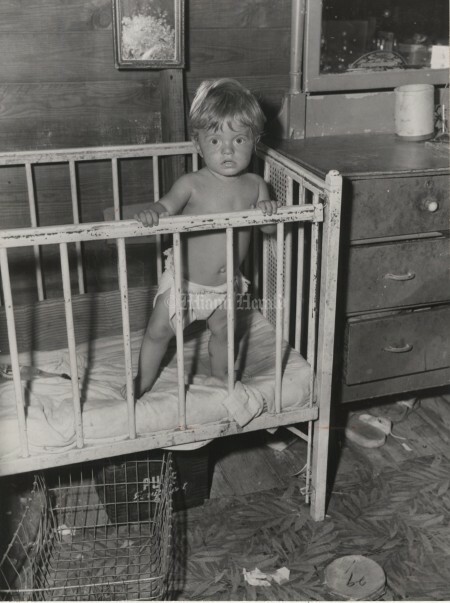 Her family was one of four evicted Monday by deputy sheriffs. Nineteen families moved out in the last week without waiting to be evicted. 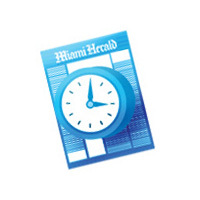 The last six families will be served with eviction notices today. 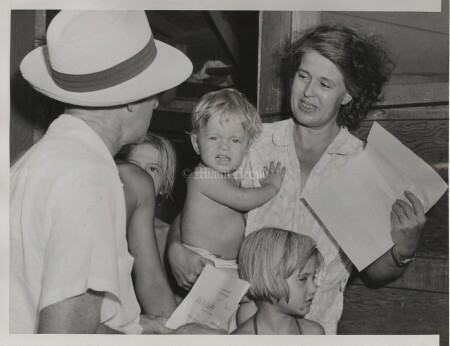 8/23/1947, Miami Herald Staff: Mrs. Robert C. Morris holding 15-month old Dennis as Deputy Sheriff A.S. Goldman serves papers. 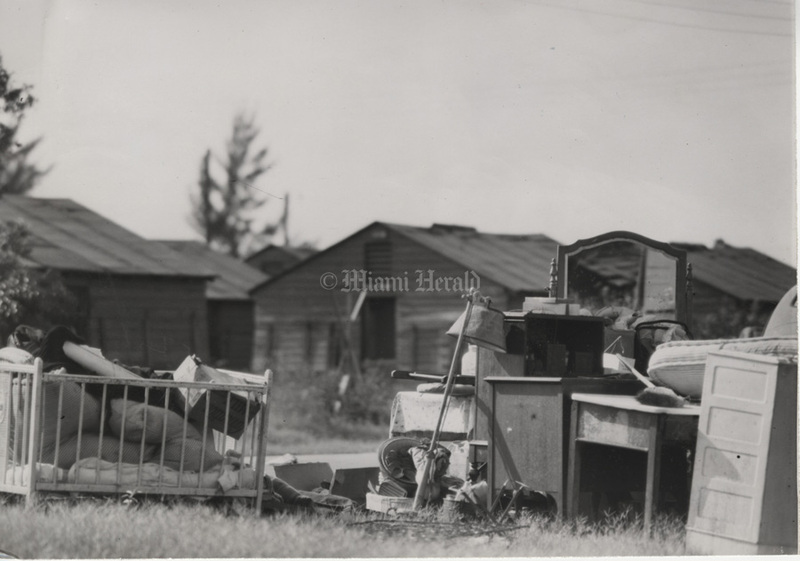 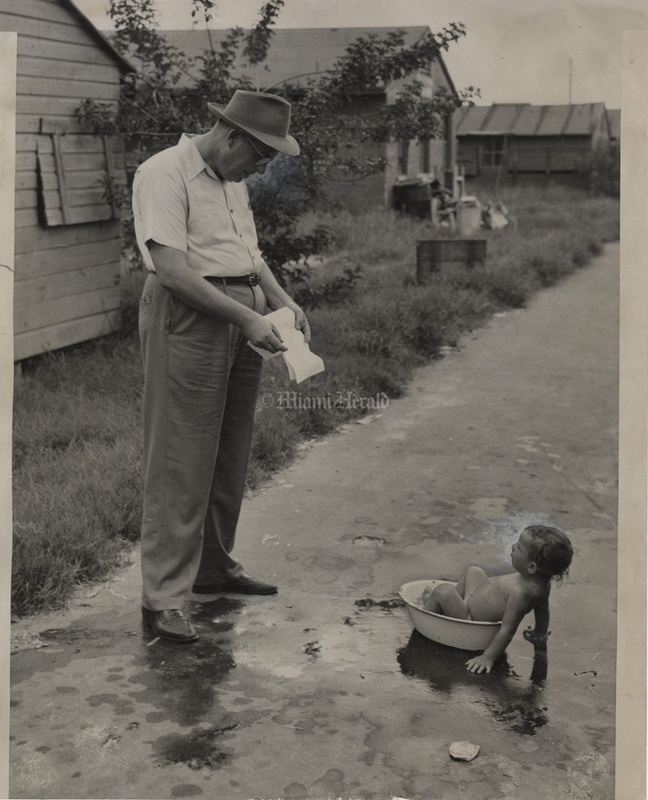 8/25/1947, Fred Brent/Miami Herald: "They evicted my cat, too" said Walter Morris, 3, after deputy sheriffs, enforcing a court order, evicted Robert E. Morris, his wife, and nine children. Morris said he finally located another place to live. 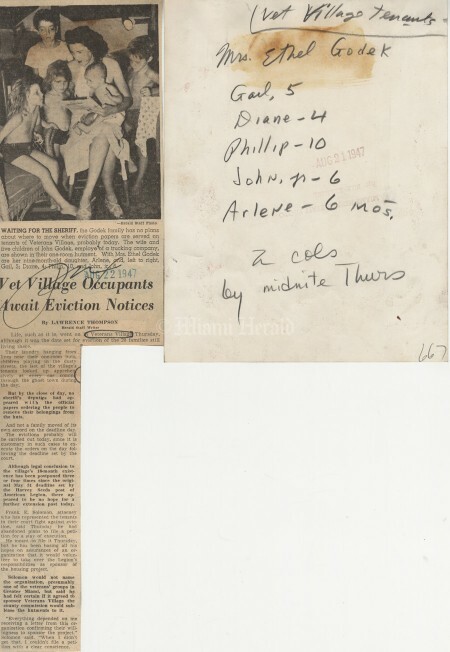 Clipping from cover page (page 1 section letter B) of The Miami Herald issue published Monday, August 18, 1947 in Miami Florida. 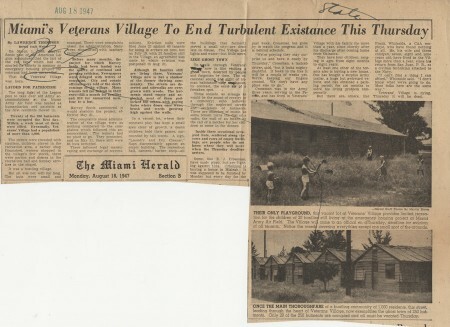 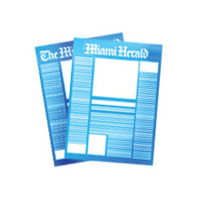 Features MIAMI'S VETERANS VILLAGE TO END TURBULENT EXTISTANCE THIS THURSDAY, by Lawrence Thompson, Herald Staff Writer, with associated photographs "Their Only Playground" and "Once the Main Thoroughfare", Herald Staff Photos by Marvin Bloom. 8/23/1947, Miami Herald Staff: Walter Morris, 14 years old, at Veterans Village, 20th Street, airport. 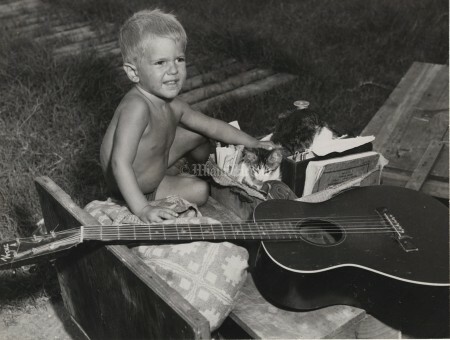 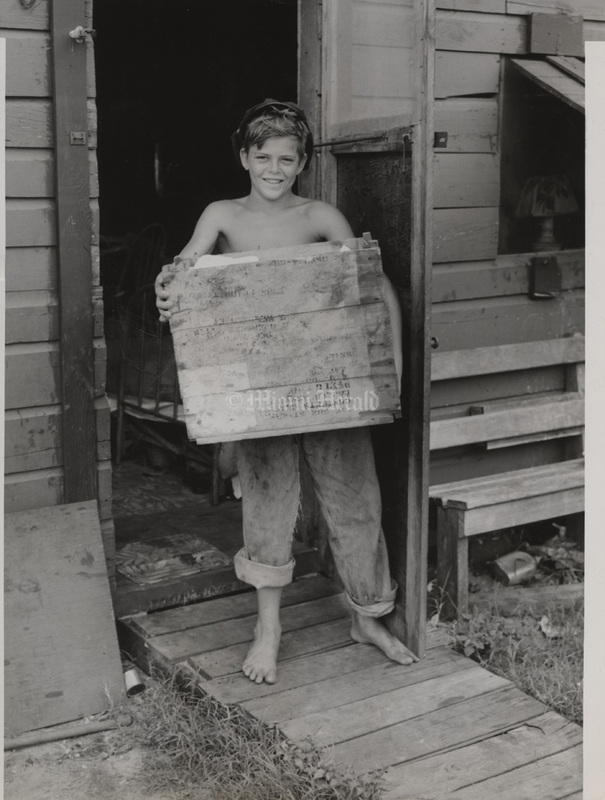 8/25/1947, Fred Brent/Miami Herald: Young Donald Morris entertains his brother and sister while furniture is moved from the veterans village hutment his family lived in. 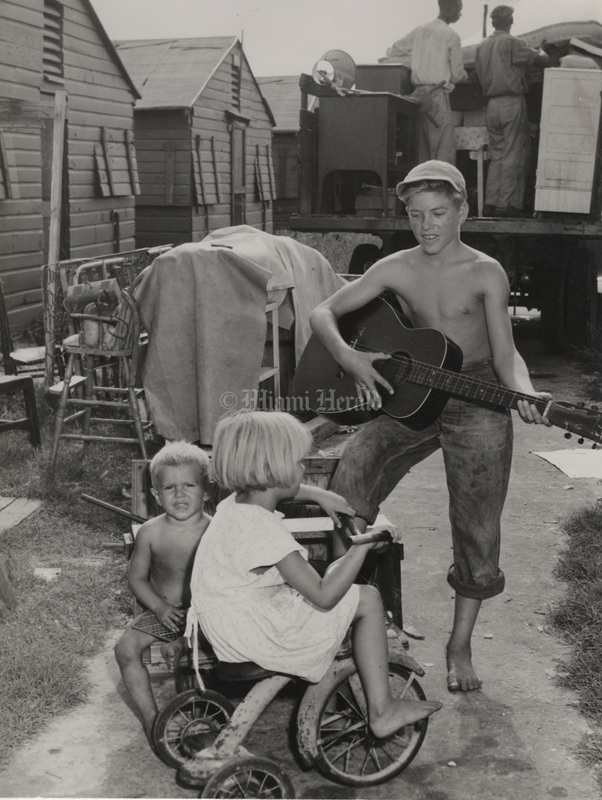 Robert, 15, is playing for Alice, 6, and Walter, 3. 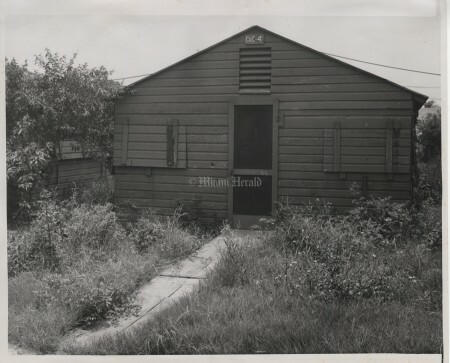 8/14/1947: Deserted shack, overgrown with wild shrubbery, at Vets' Village.